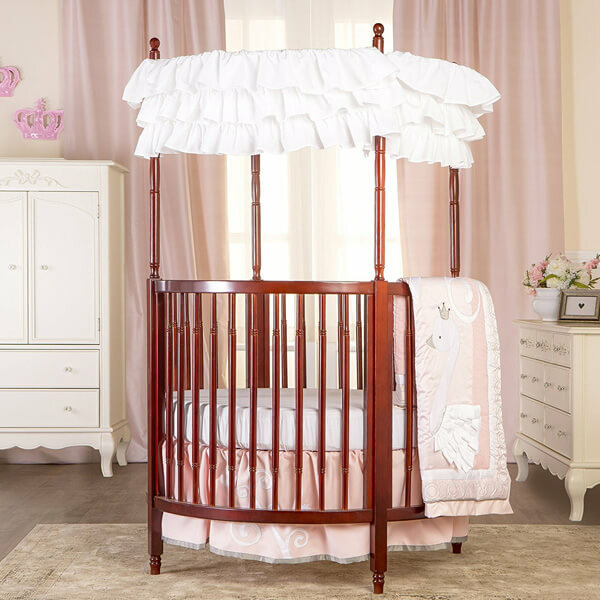 Dainty and beautiful, the Dream On Me Sophia Posh Circular Crib is a circular crib that is made with a striking cherry finish. This crib features a solid wood design and has been given an accentuating white canopy. It has a safe, non-drop side rail. 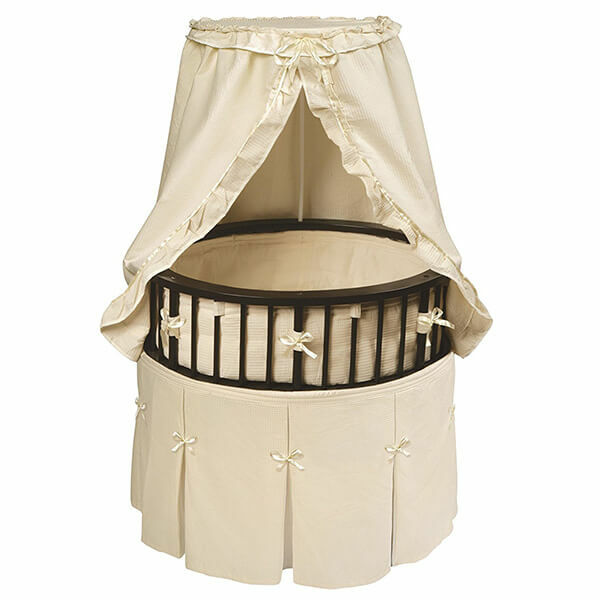 Classic by design, the Badger Basket Elite Oval Bassinet with Waffle Bedding is ideal for any sophisticated nursery. It is made from 80 percent polyester and 20 percent cotton and comes with a canopy. There is a helpful storage shelf that can be found behind the skirt. 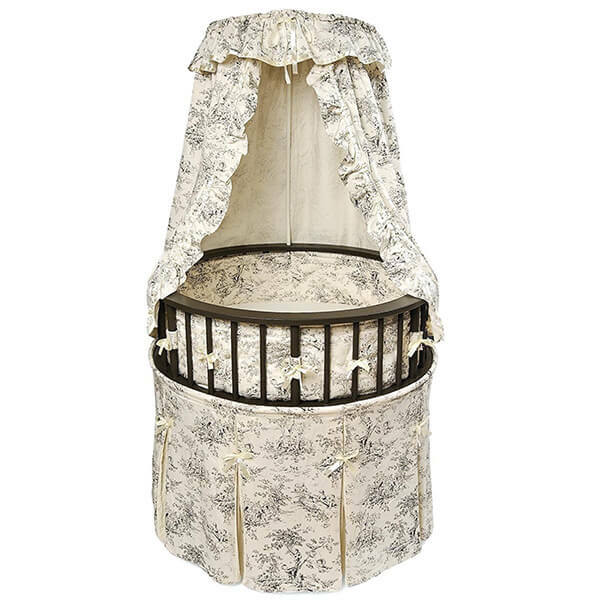 The Badger Basket Elegance Round Baby Bassinet is a traditional circular bassinet that is made from 80 percent polyester and 20 percent cotton. The pleated skirt disguises the caster wheels beneath it that make it simple to move this crib from place to place. It has a generous sleeping area. 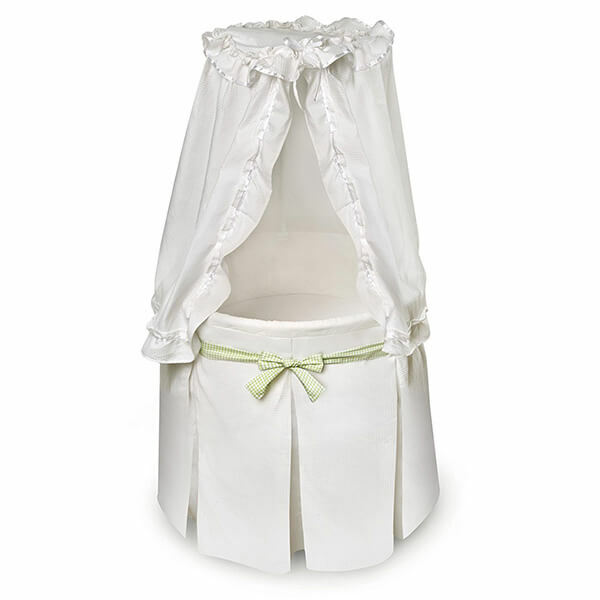 Pristine white in color, the Badger Basket Company Empress Round Baby Bassinet can suit any sort of nursery decor. The fabric is made from 20 percent cotton and 80 percent polyester and features a canopy. It has a storage shelf hidden behind its pleated skirt. 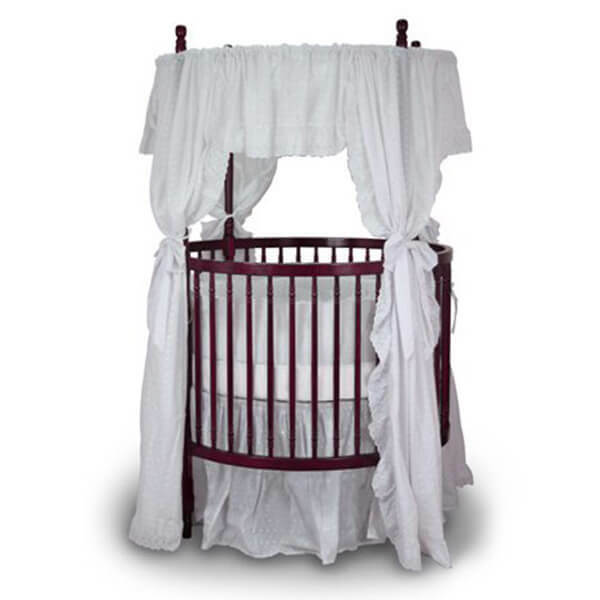 The white canopy and cherry finish of the Angel Line Traditional Round Crib will look dazzling in any nursery. This crib has four mattress height positions as well as locking casters, the latter of which can be found behind the skirt of this quaint, charming crib. 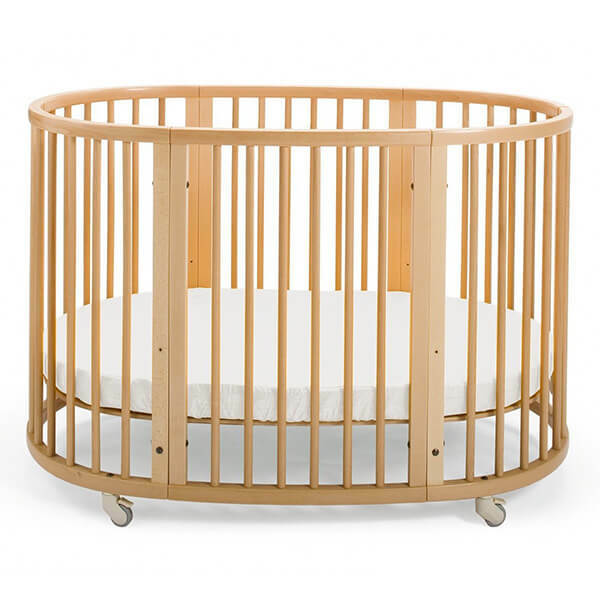 Oval in shape, the unique Stokke Sleepi Crib is made of cultivated beechwood that is sourced from a sustainable forest. It is able to grow with the child up to 10 years of age with its convertible nature and can fit through any average doorway for your convenience.